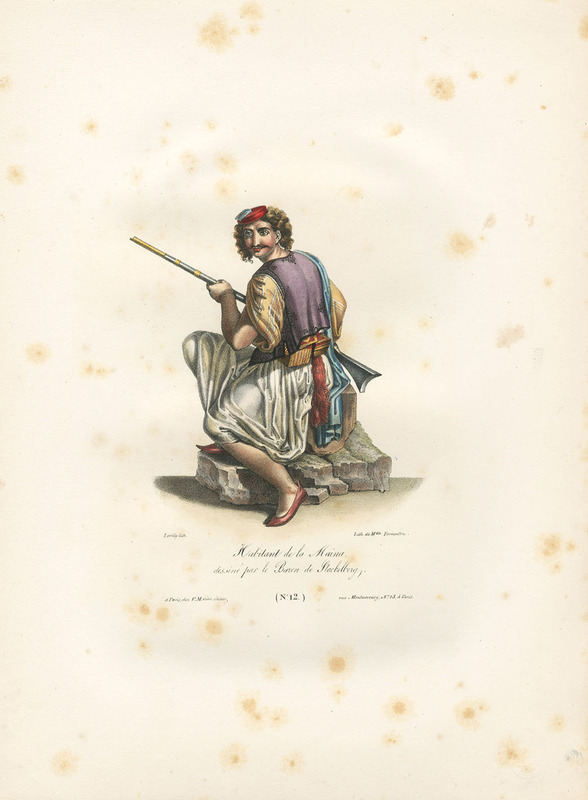 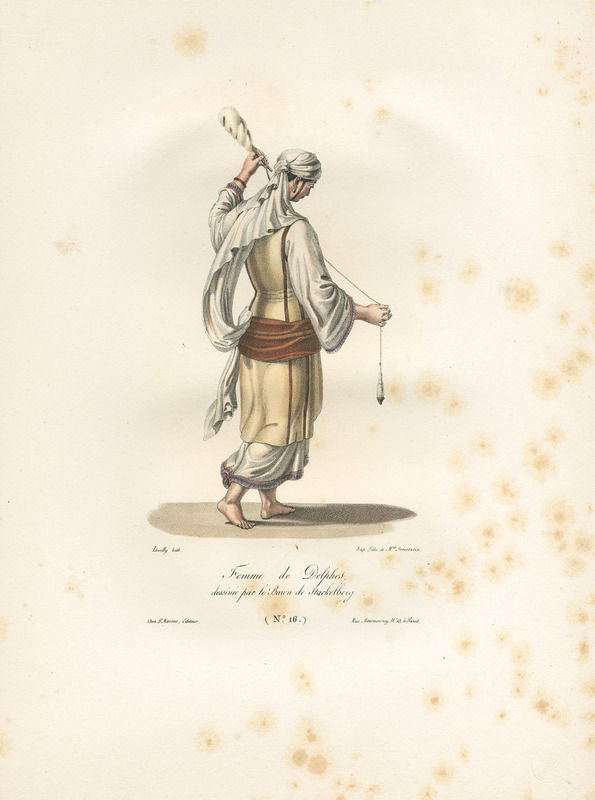 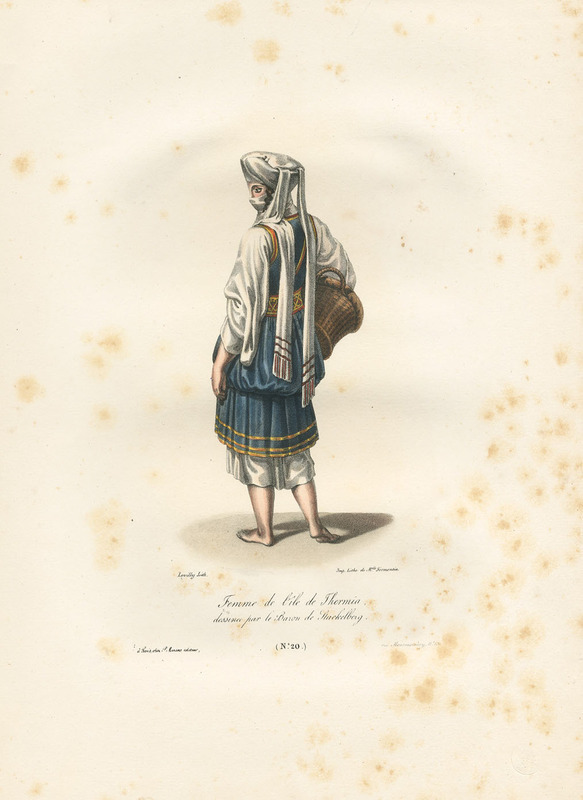 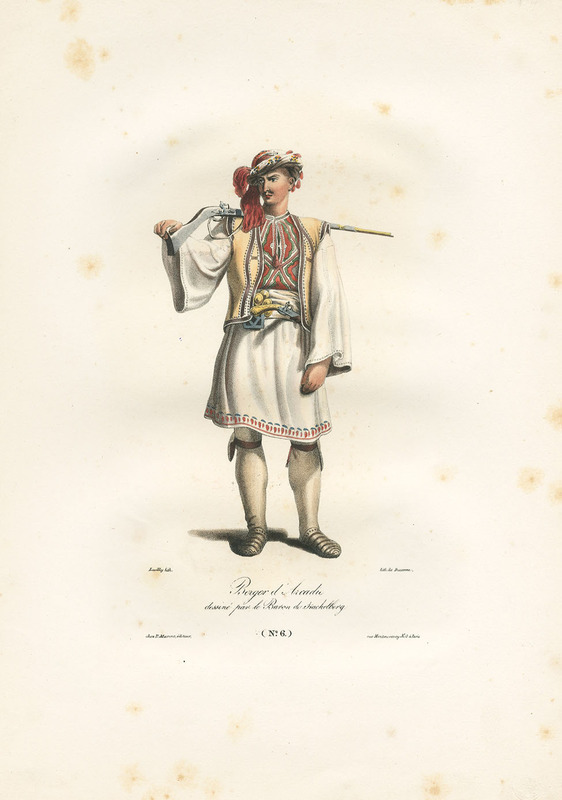 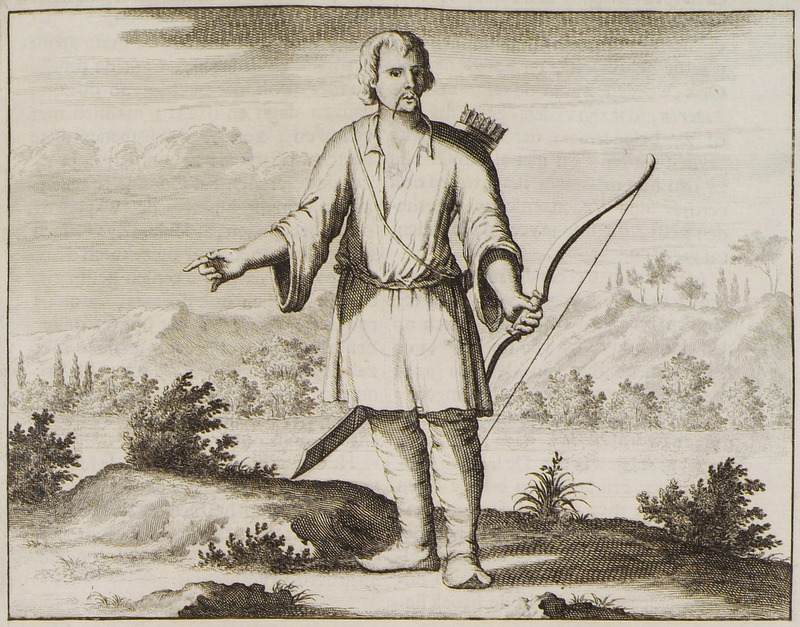 Cretan inhabitant of mountainous areas carrying arch and arrows. 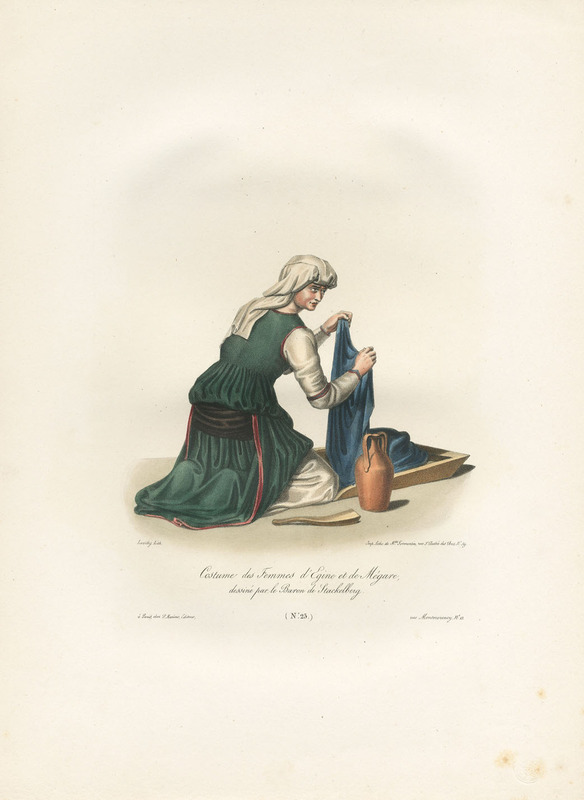 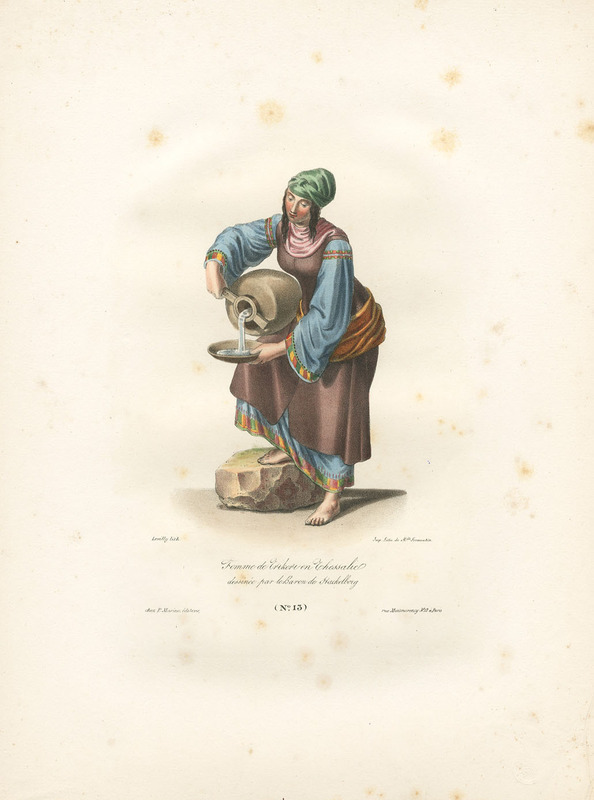 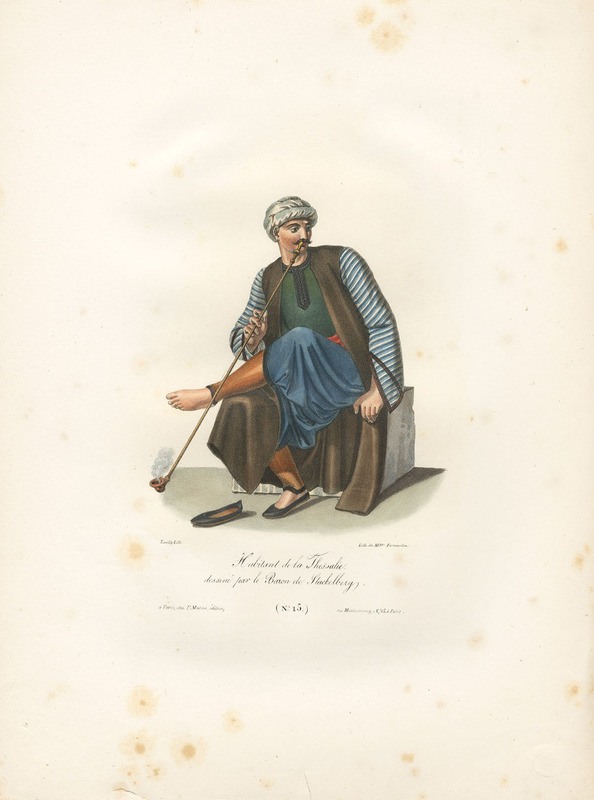 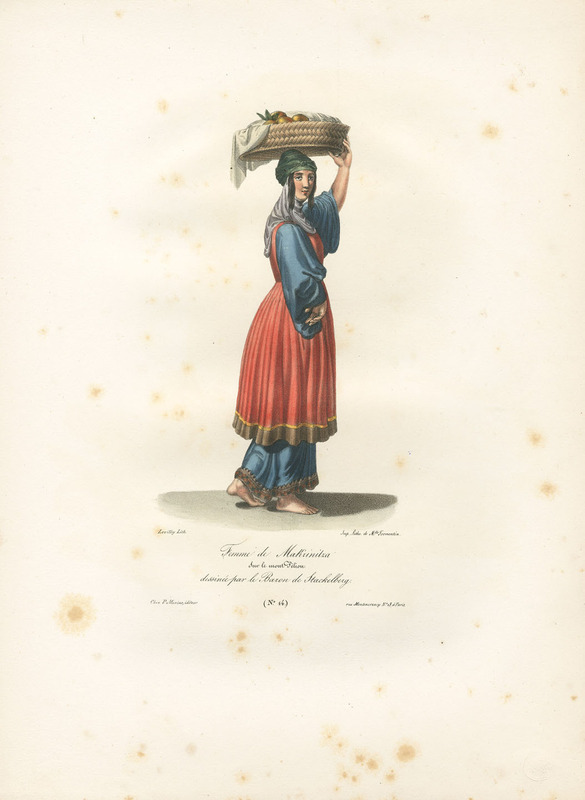 Peasant woman from the outskirts of Athens. 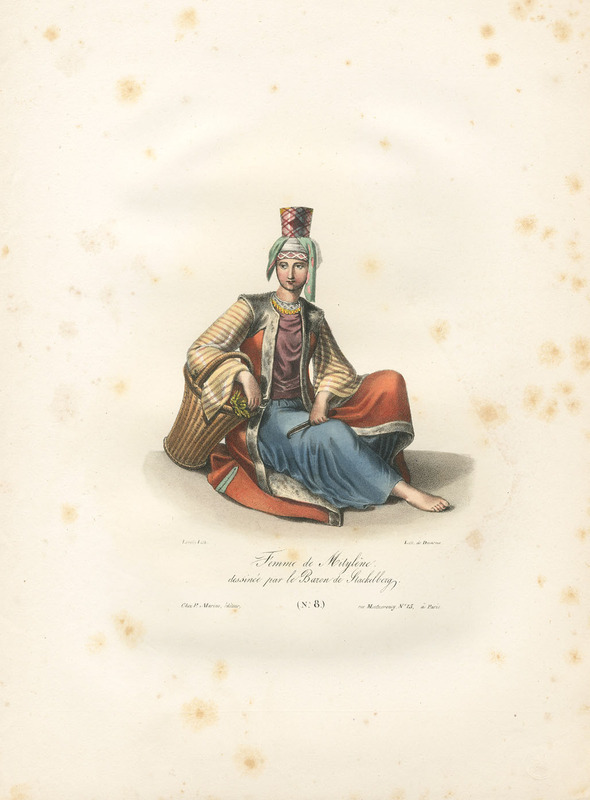 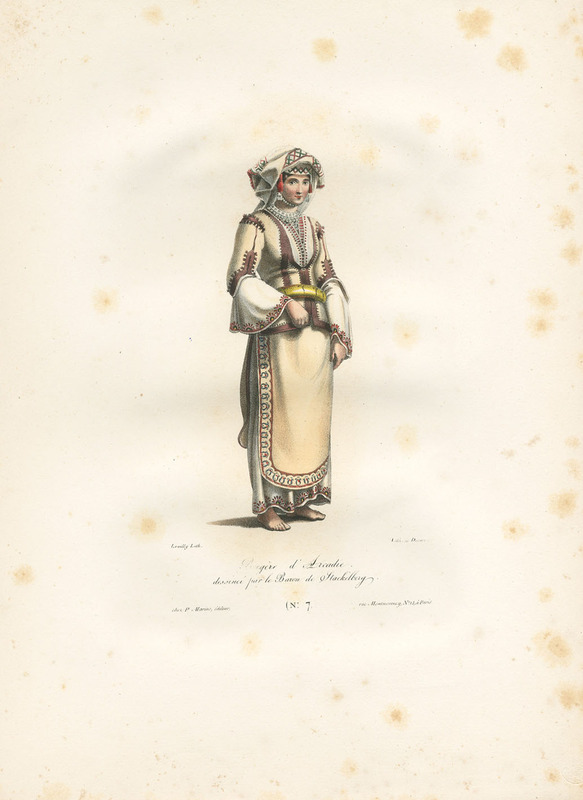 Peasant woman from the outskirts of Athens in festive costume. 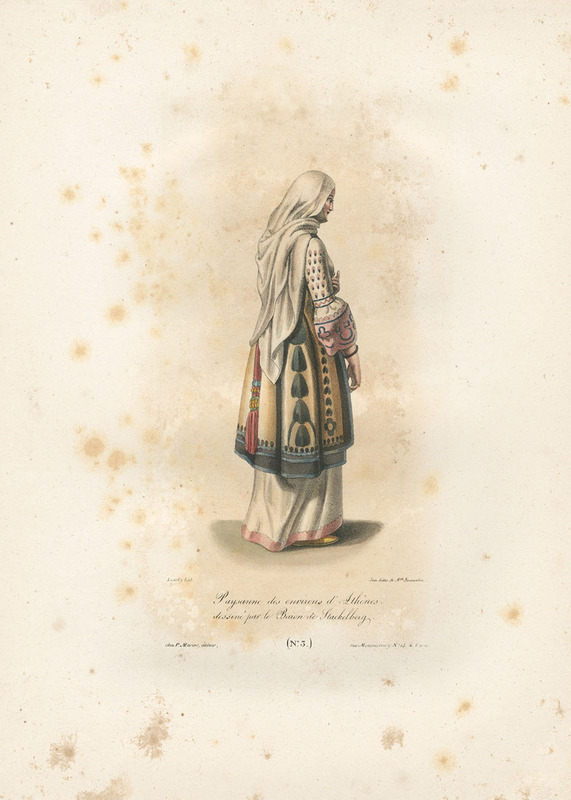 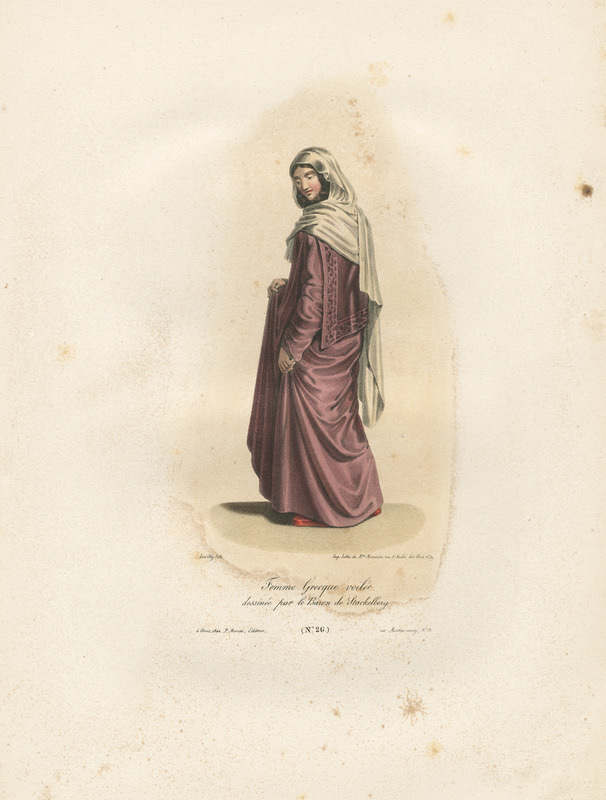 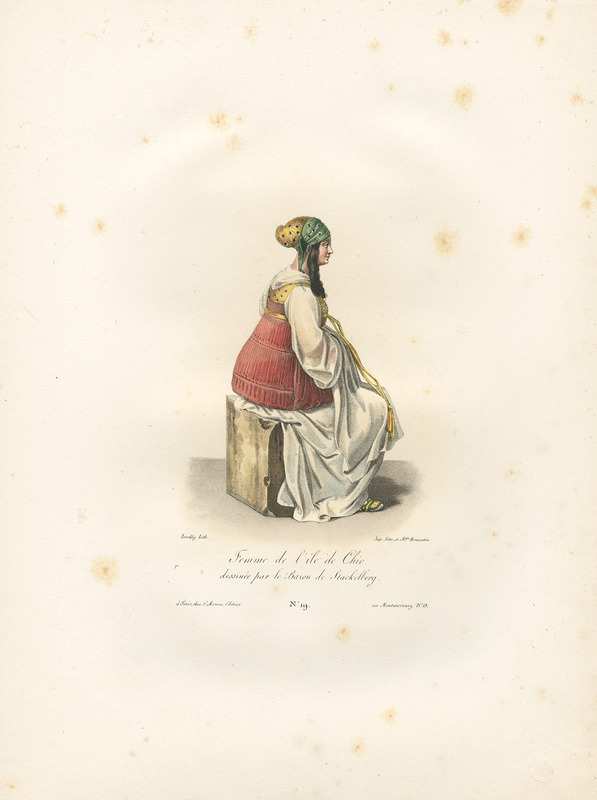 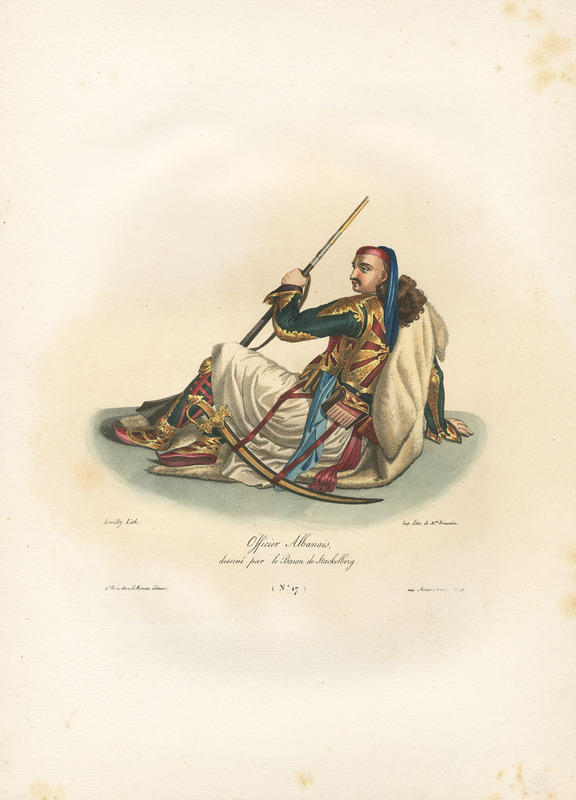 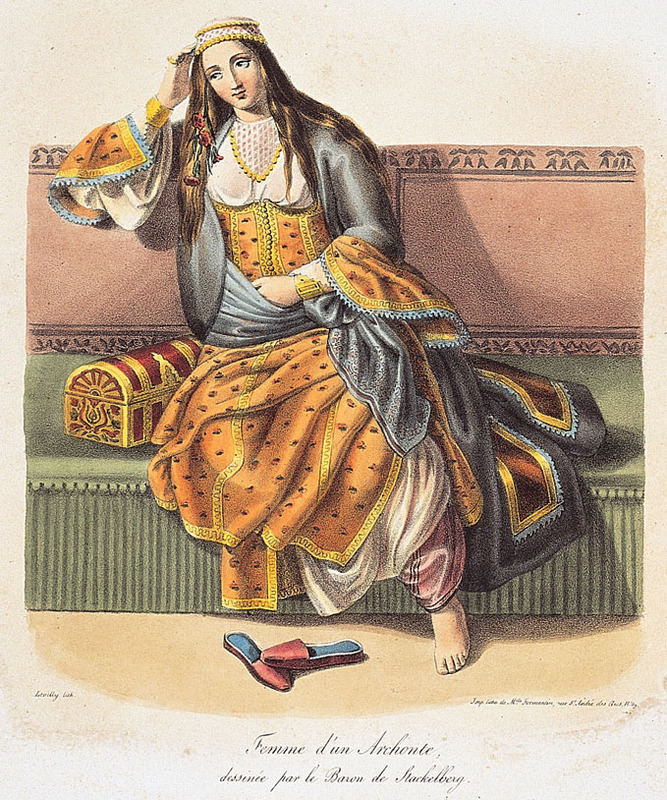 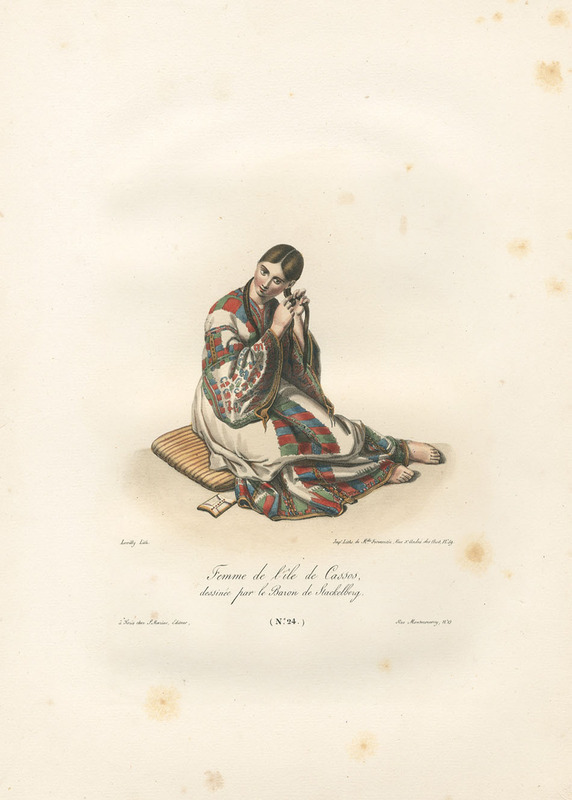 Woman from the ouskirts of Thebes. 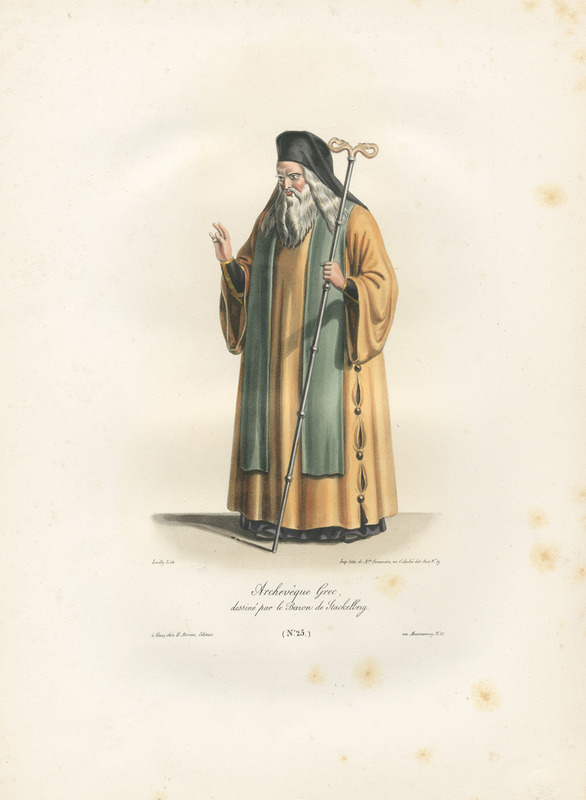 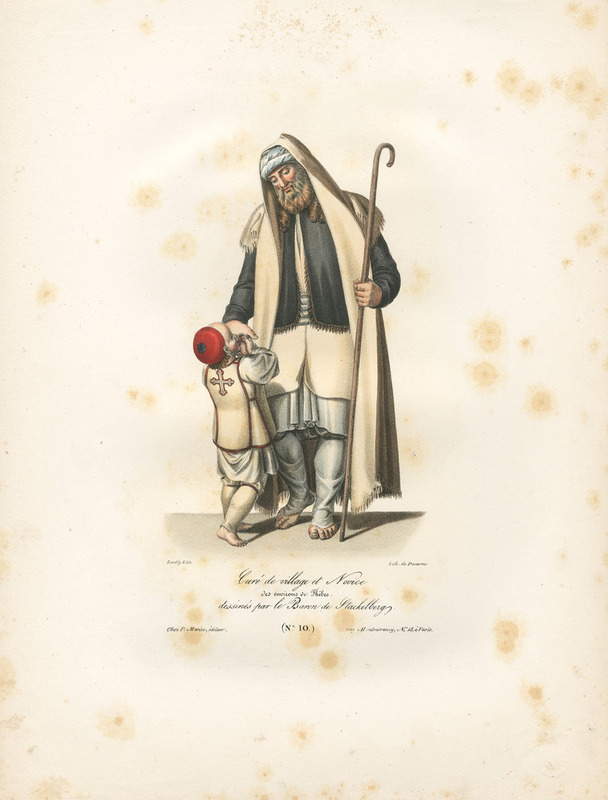 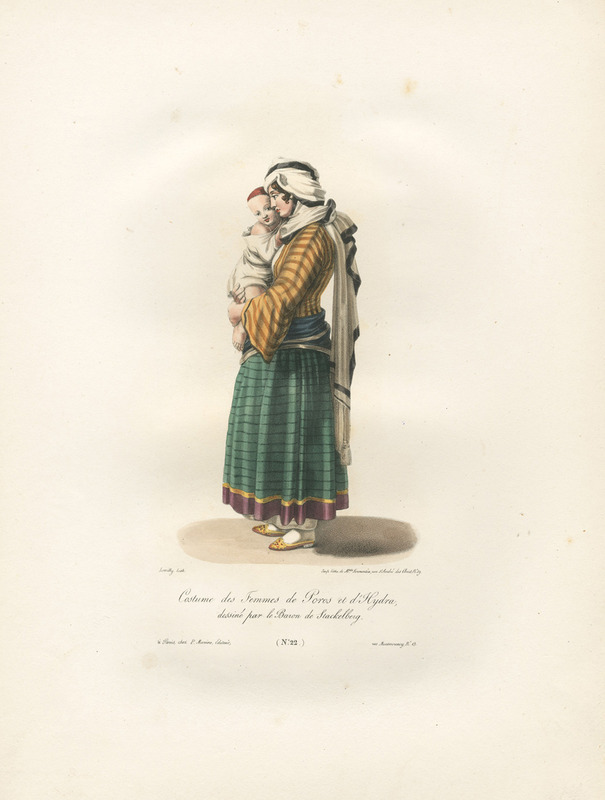 Village priest and child assistant to the priest from the ouskirts of Thebes. 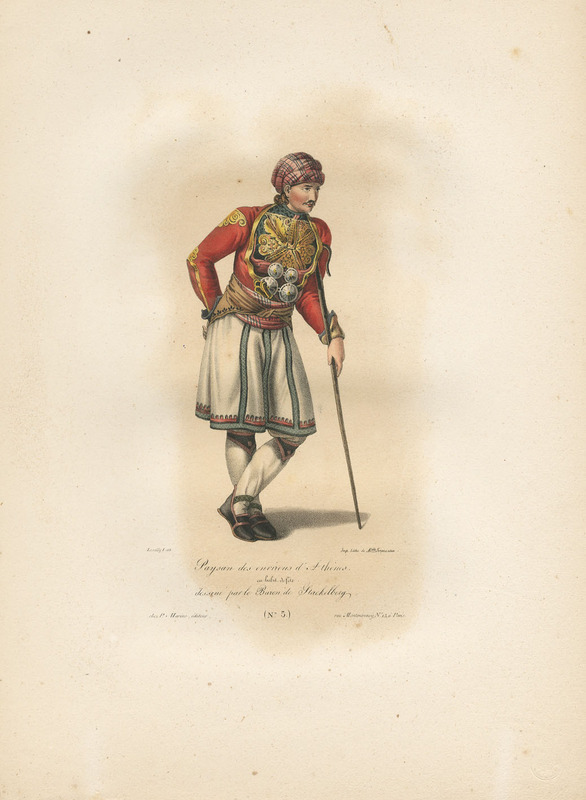 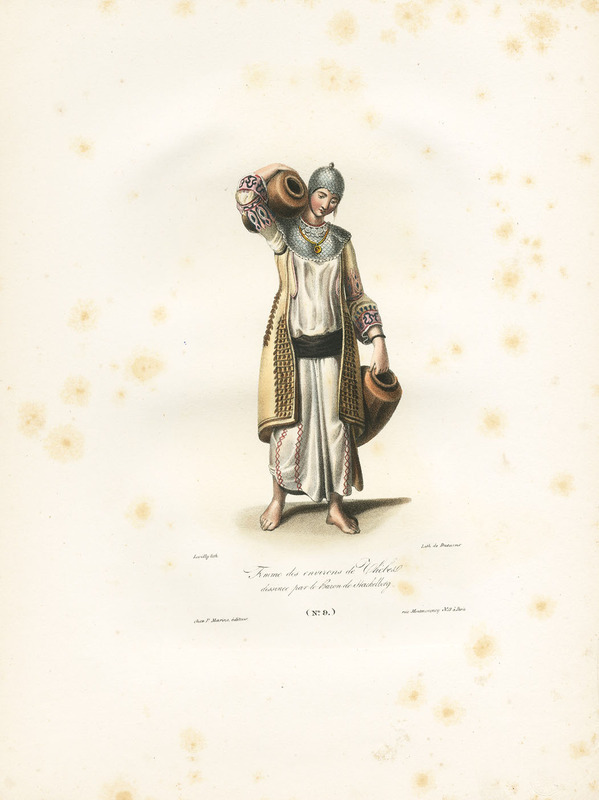 Female costume of Poros and Hydra. 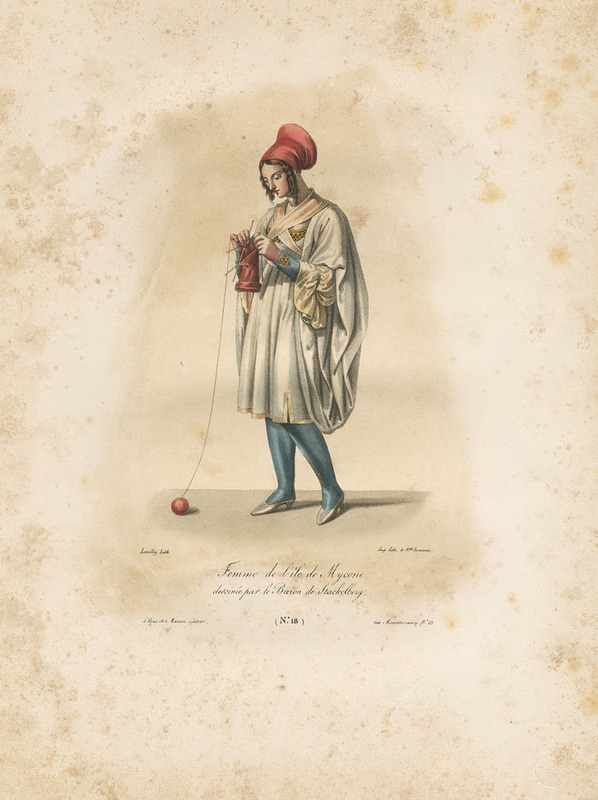 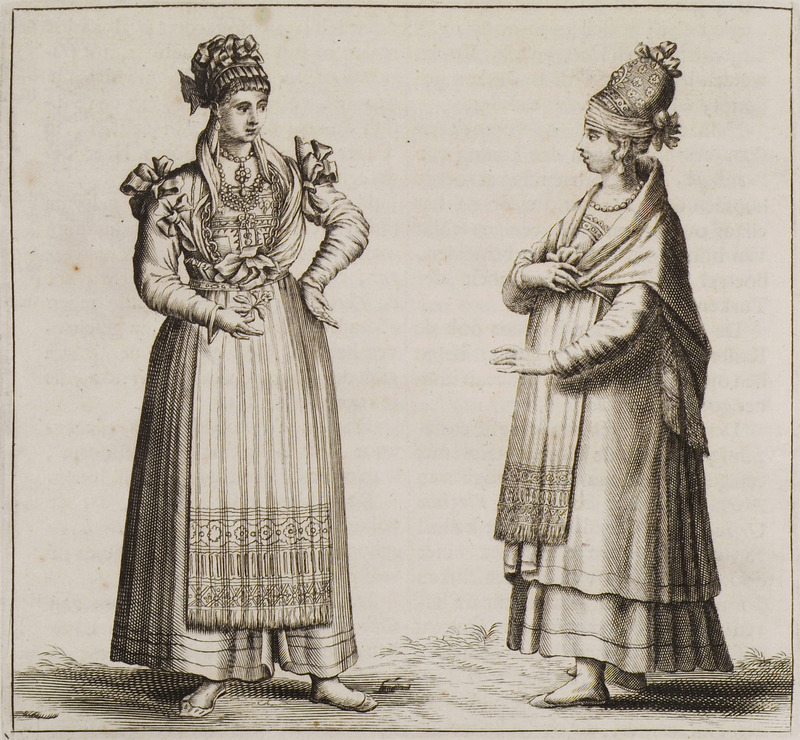 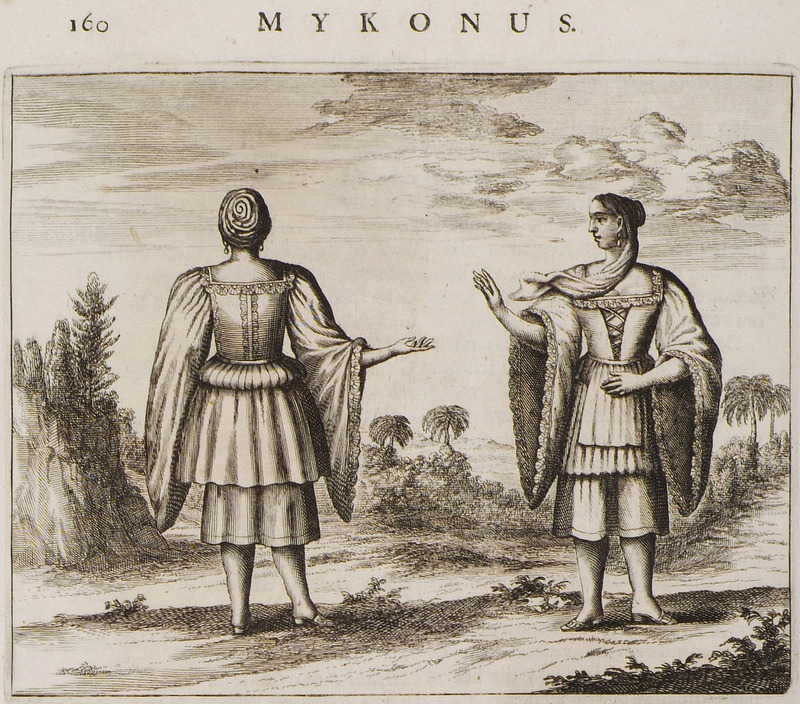 Female costume of Aegina and Megara. 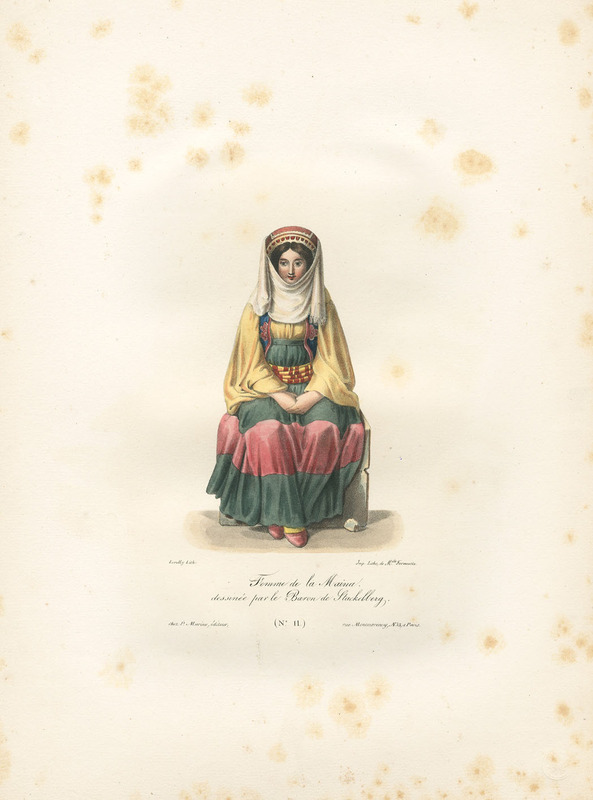 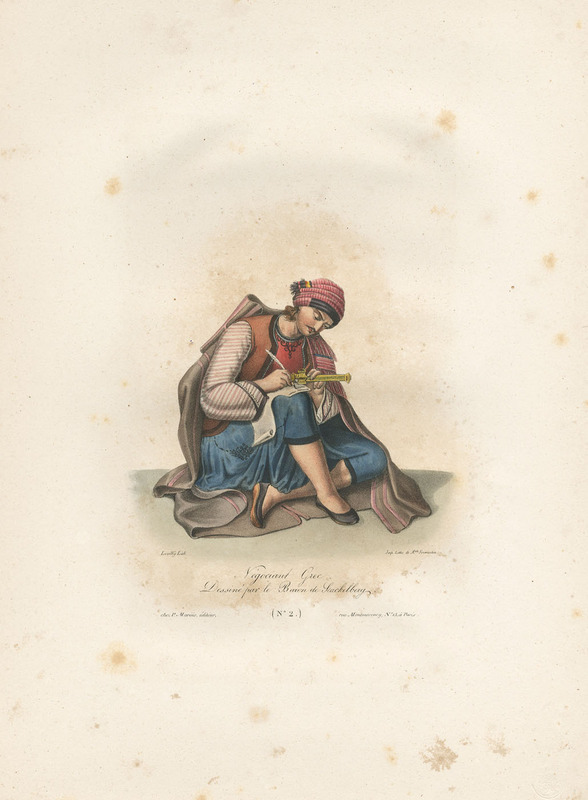 Greek woman wearing a veil. 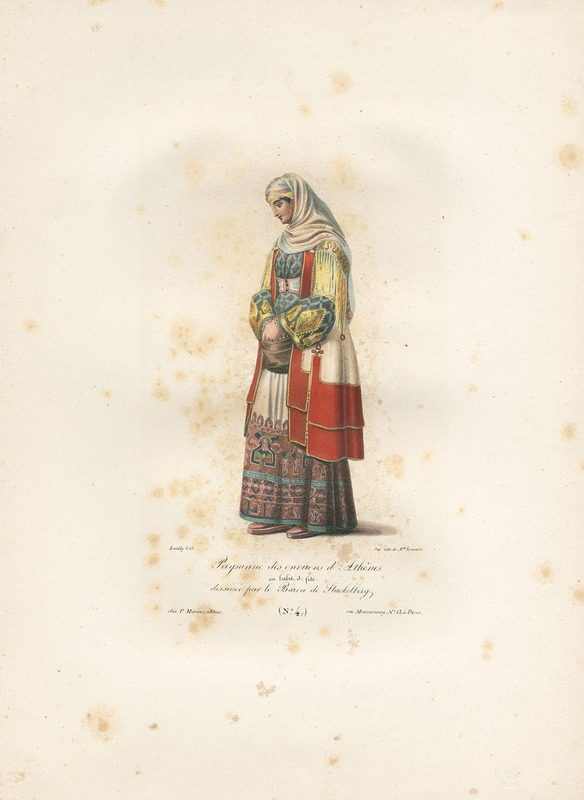 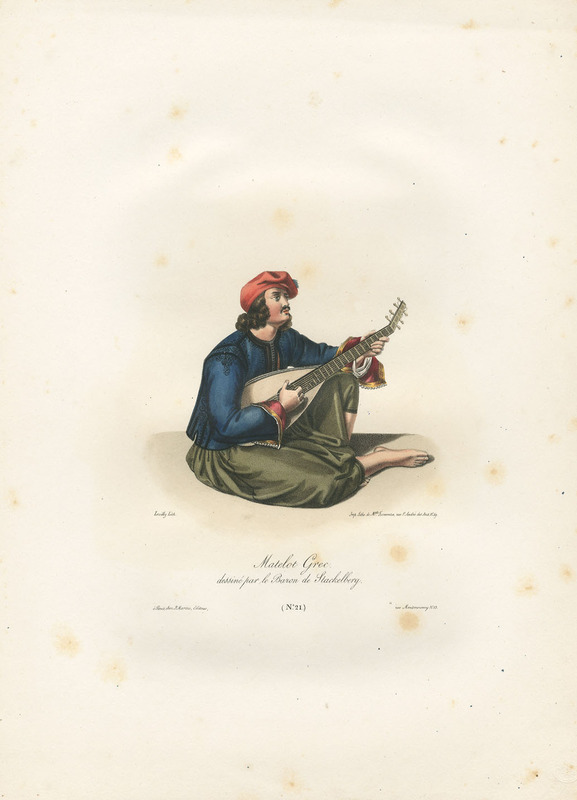 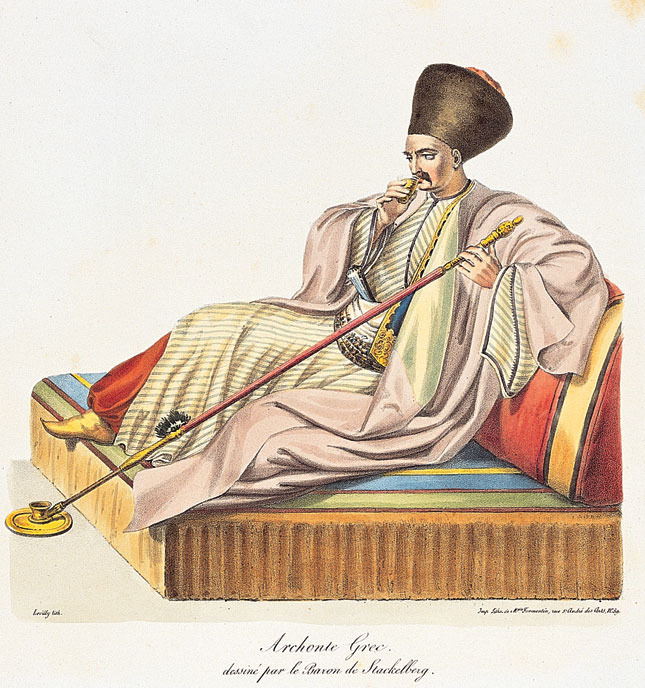 Spouse of a Greek local notable.